In all of the hub-bub surrounding the Mayan apocalypse that came and went without incident, it was tough to resist the funny one-liner on Facebook and Twitter. We have become so calloused against the doomsday predictions that have fueled the religious airwaves, TV broadcasts and book sales of the last 30 years. This actually could be the end of time. It is similar the snark-fest regarding the Hostess bankruptcy and the end of Ding-Dongs and Twinkies. Lost in all of the jokes was the reality of unjust labor practices by the cooperate execs of Hostess who, even at the end when massive layoffs could have been averted, continued to pay themselves ridiculous salaries and bonuses. Hostess stole money from it’s workers pensions to use for things like operations – the whole while paying millions of dollars in bonuses to it’s 19 executives who were leading it into bankruptcy. We didn’t address the illegal, and unjust practices of the mis-management, I suspect, because there were just too many jokes to be made about Twinkies. It appears that a similar scenario has blinded us to the reality of the Mayan calendar. 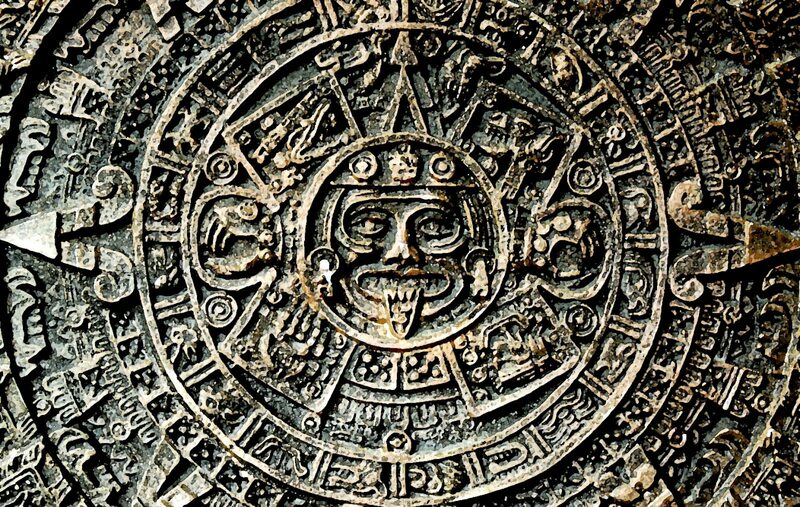 Never mind that the Mayans didn’t predict an end-of-the-world on the actual day – only that the calendar ended. Never mind how the ancient people may have conceived of the cyclical nature of time. Never mind the odd fascination that descendants of European colonist have with indigenous artifacts from a genocidally exterminated people. Jokes about the Mayans provided too many punchlines. The Mayans were made a joke. But, like the Hostess bankruptcy, I wonder if a much bigger issue was ignored in the flurry of Facebook snark and apocalyptic themed parties. What was lost in all the end-of-the-world banter was a sobering look at the realties that we face as humanity and that, if one had ears to hear, would sound an alarming warning signal that the world as we know is in real crisis. I fear that like the proverbial frog in a kettle, that we have slowly adjusted and grown comfortable in rising temperature of the water and have failed to acknowledge that things might soon boil over. Long ago, I left-behind the reading of Revelation that causes so many to live in fear of an impending catastrophe. But I’m not sure that people of faith can afford to grow comfortable thinking that the world we see is in it’s final form. Capitalism, Democracy and Nation-States are assumed to be the as-is realties on the planet. Zizek is oft-quoted as saying Christians are fascinated with the end of the world because it is easier to imagine life ceasing to exist on planet earth than it is for Christians to imagine an economy after capitalism. Global capitalism has bankrupted itself. The European Union (with countries like Greece and Spain) is in real trouble. The American economy is being exposed with its massive debts and downgraded dollar. China has mixed capitalism in with a form of communism – and a massive population – in a way that leaves most experts baffled. It one takes the failing global economy, the toxification of the environment and the realities of perpetual war – maybe the Mayans weren’t wrong after all. Maybe we have moved into the end of time. * The practice of ‘mountian-top’ removal in places like West Virginia coal is instructive about environmental impacts. ** The Isreal-Palestine conflict and America’s role are especially illuminating.